Telepliant has released a free desktop application named VoIPOffice Communicator as a unified communications tools for PCs and Macs. 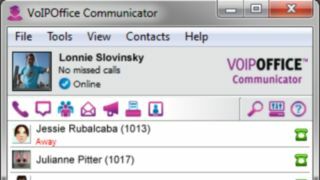 The company, which provides internet telephony for SMEs in the UK, said that VoIPOffice Communicator integrates with several web browsers, contact management software and CRM suites. Its features include presence, instant messaging, screen popping and click to dial. The software can be used as a stand-alone softphone or integrated with a hardware IP phone to simplify the placing, receiving and managing of calls and voicemails. Tan Aksoy, Chief Executive Officer at Telappliant, commented: "It is widely agreed that unified communications and collaboration are key components of a successful business environment …. I am confident that features such as presence, instant messaging and CRM integration will help drive business efficiencies across our customer base."